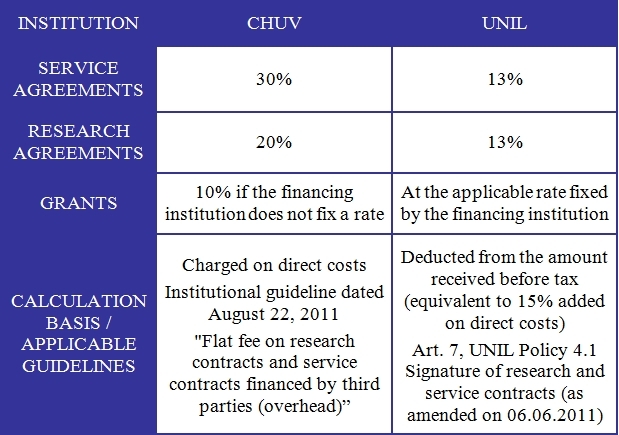 In addition to the legal framework applying to your research activity, UNIL and CHUV have also put in place internal policies. A common UNIL-CHUV policy entitled “Directive relative aux contrats et à la valorisation de la recherche” has been implemented in 2010. Such policy follows up the entry into force of the “Règlement de la valorisation des résultats de la recherche UNIL CHUV” dated 2009. These official documents specify that contracts related to research, inventions and any other results or creation with a potential commercial value must be announced to PACTT. This UNIL-CHUV policy also states the principles allowing us to preserve your publication rights and the teaching and research mission of the Institutions, and to protect public interests. Take a minute to watch the video presenting the directive. For more information about internal policies, who is entitled to sign each types of agreement related to research, what the rules are regarding ancillary activities and conflicts of interest and how to calculate the overhead go to the “Legal Framework” page under “Documents“. A summary of UNIL-CHUV IP policies in English is available here. If you have questions related to these topics, check out the FAQs or contact us!